See more objects with the tag architecture, decoration, classical, women's fashion accessories, personal adornment, women, commemorative, historicism, nationalism, details. See more objects with the color rosybrown sienna dimgrey darkolivegreen black or see all the colors for this object. This object is the first item in a set that contains 8 objects. 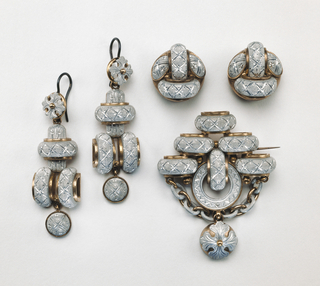 This is a Suite of micro-mosaic jewelry. 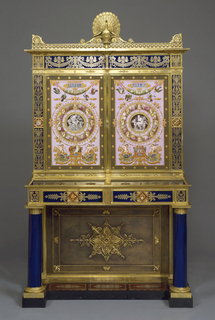 It is dated 1800–25 and we acquired it in 1991. Its medium is gold, glass mosaics. It is a part of the Product Design and Decorative Arts department. 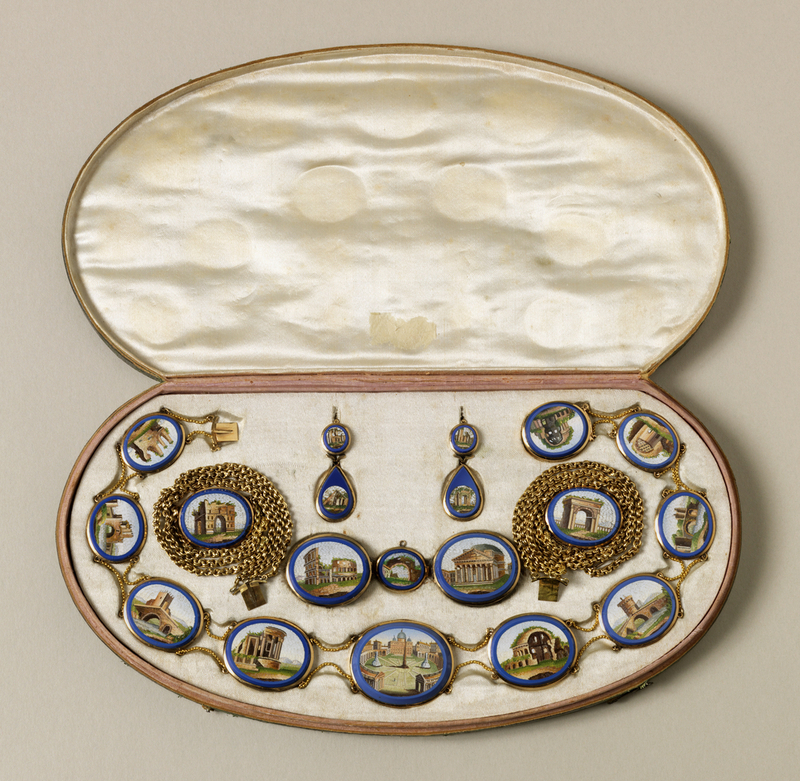 This object was featured in our Object of the Day series in a post titled A Parure To Remember.